There are many methods to go about whitening your teeth. Professional whitening methods, like GLO Science Pro, can give you much longer-lasting, noticeable results in a short amount of time. You’ll be leaving your appointment feeling confident and your teeth will be looking several shades brighter than before. GLO teeth whitening is unique because it is the only whitening system that uses a patented technology that combines optimal heat and light in a closed-system mouthpiece to activate the whitening gel and accelerate results. There is no hassle of trays, impressions or whitening strips. Whitening procedures are done carefully, first making sure that the patients’ gums are protected through a rubber or gel shield. With little to no sensitivity at all, this particular whitening process can be completed in an hours’ time so you can be on time for any event, ready to show off your new, pearly white smile. GLO Science Pro is clinically proven to whiten smiles by at least five shades in only five days, if done at home and was even named the best teeth whitening kit by InStyle Magazine. Teeth whitening is a non-invasive cosmetic dentistry procedure, a service that Buhite & Buhite, DDS has over 40 years of experience in. You can be certain of great results, feeling good as new after your GLO Science Pro teeth whitening procedure. The summer is the perfect opportunity to kick your smile up a notch and prepare for all of the big, up-and-coming summer events like weddings, graduations, reunions and family get-togethers. Now is the time for you to consider effective teeth whitening procedures like GLO. Get your teeth whitened today. 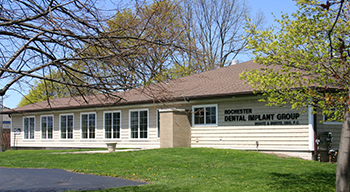 To book an appointment, call Buhite & Buhite, DDS at (585) 342-1323!